Getting married in Florence in the Palazzo Vecchio, one of the oldest and most beautiful monuments in the world, is a unique opportunity. A shame then that it’s difficult to get to by car for both the bride and groom and their guests. Taxi Firenze 4390 has decided to offer an ad hoc service to resolve this problem. And so, Taxi Wedding was created, the service that provides you with one of our best vehicles (e.g. a Mercedes E Class), adorned, if you wish, with the most beautiful flower arrangements designed by a professional florist. Car and driver will be on hand to drive the bride and groom to the Piazza della Signoria, take you to your photo session and finally to your chosen wedding reception venue. TAXI WEDDING can also take care of arrangements for transferring guests to the Palazzo Vecchio and then to the wedding reception with the option of making a lump-sum payment. Ask for a no-obligation quote at info@4390.it: We will ensure you can rely on our full expertise and professionalism. 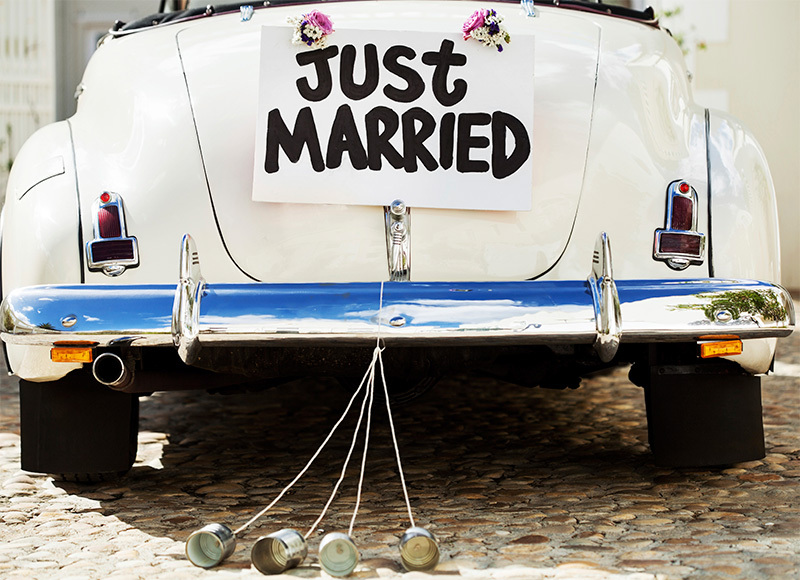 Don’t take any chances for your wedding day: rely on our professionalism and expertise! And of course: Best wishes to the newlyweds!